Geetha is currently the Head of Compliance, CIMB-Principal Asset Management Berhad (CPAM) & ASEAN Region. Geetha holds a Bachelor of Laws degree with Honours from the University College Wales, Aberystwyth, United Kingdom and is a Barrister of the Honourable Society of Lincoln’s Inn. Upon her return from the United Kingdom, she was admitted as Advocate and Solicitor of the High Court of Malaya. She also holds a Professional Postgraduate Diploma in AML awarded by the International Compliance Association in association with the Alliance Manchester Business School, The University of Manchester and is an alumni of the CIMB-INSEAD Leadership Programme. 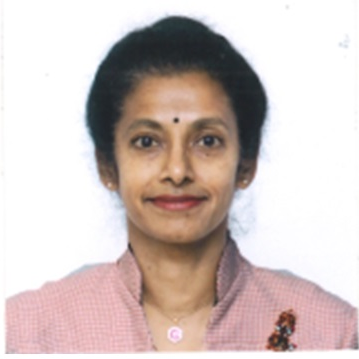 Prior to joining CPAM, Geetha served in roles overseeing the functions of Compliance, Legal and Risk Management in local financial institutions having been in legal practice from 1992 to 1998. Geetha who has over 20 years of Compliance experience in consumer banking and capital markets, was also a member of the Compliance Committee of the Malaysian Investment Banking Association and was a member of the Working Group on Capital Raising and Capital Maintenance of the Corporate Law Reform Committee that was tasked to review the current law and practice on capital raising and capital maintenance rules. Check out the incredible speaker line-up to see who will be joining Geetha.